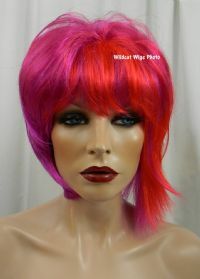 All my wigs are brand new and will fit the average ADULT size head. They all come with care instructions on the tag. 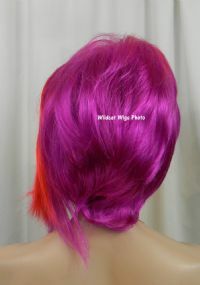 This color is like a Hot Florescent Fuchsia/Purple and Hot Florescent Orange/Red.